#1 Orange County Shutters® - Beautiful Plantation Window Shutters. 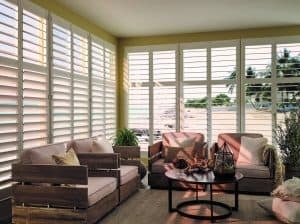 Window shutters - Orange County Shutters® with Over 20 Years In The Custom Window Covering Business. 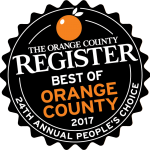 Award winning best of Orange County, shutters and window coverings 3 years straight . 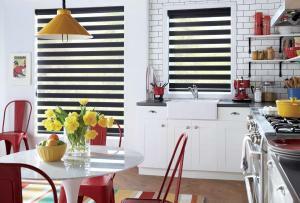 Custom indoor window shutters are one of the most versatile window treatments on the market today. Plantation window shutters can be made from different materials; such as solid composite, vinyl and basswood. Choosing the right plantation window shutters in the right material is a very important decision, and one that shouldn’t be dictated by a good sales pitch. At Orange County Shutters we believe in presenting our clients with a low pressure plantation window shutters buying experience where we show all of the different style plantation window shutters that we offer, and explain the benefits of each shutters offers, and help you in choosing the perfect window shutter for your home. Color Options! When it comes to color options, we have the ability to offer a truly customized look for any style ofto be the Louver Sizes. Here in the OC area, the styles of houses can range anywhere from Traditional to New Contemporary, and when it comes to Interior Shutters, nothing affects the styling as much as your choice of louver size and frames. More “Traditional” Shutter styling may call for a 2.5"to 3.5″ Louver Size, whereas more contemporary styles may call for 4.5″ Louvers. And for those who are looking for an open expansive view that is second to none, you may even consider a shutter with 4.5″ Louvers! One of the major choices you’ll have to make when designing your indoor window plantation shutters will be your Frame Options! We offer a variety of different frame profiles and sizes to fit literally any style you can throw at us. Maybe you don’t even want a frame… Don’t worry, we can do that too! Setup A In-Home Consultation today so that we can go over all of your options in person! Hinge Color Options – From painted hinges to blend with the shutter color or bold colored hinges to contrast with your plantation shutters. Some of our specialty hinge colors include: brushed nickel, stainless steel, black and brass. Specialty Shapes and Applications – Our Plantation Shutters can also be fabricated to accommodate a large number of different window shapes such as rectangular, arches, angled tops, triangles, ovals, sidelights, sliding and French doors and even skylights. Motorization– Wait… Did you say? YES, we did. If you know anything about us, you know that our policy here is that every Window Treatment can be improved by motorizing it! Our Plantation Shutters are no exception. We offer Motorized Plantation Shutters for those hard to reach windows, such as high windows in a foyer, or even just windows over a bathtub!